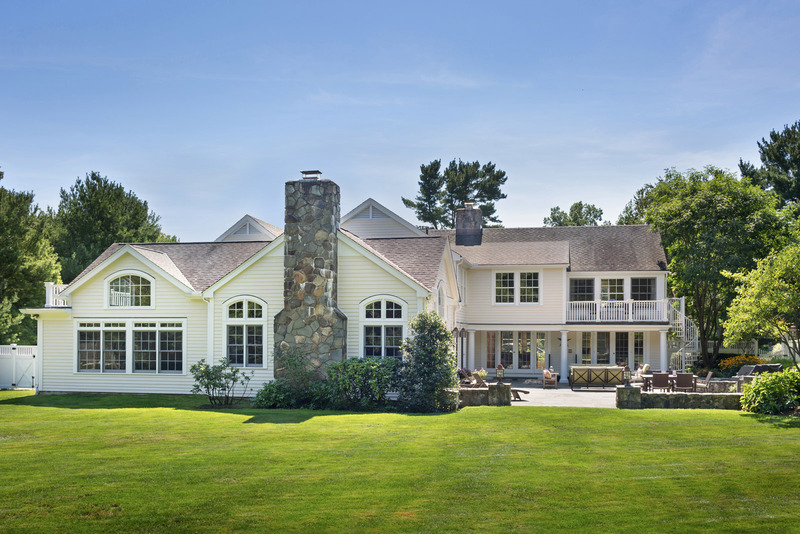 This Darien, Connecticut home showcases the end result of a Soper Babcock Associates project to address the owners program requirements for additional space, better utilization of existing space and to address aesthetic issues regarding the homes exterior. 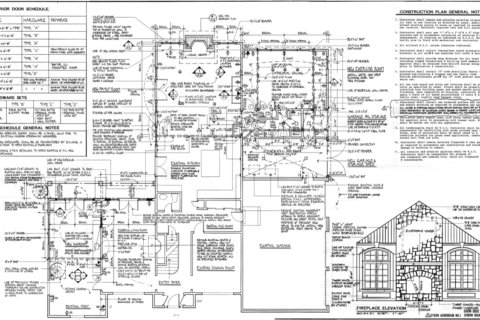 The rear façade of the existing residence had a disjointed appearance with a wide array of door and window configurations within a condensed area. This was partially the result of a previous renovation where the pleasing uniform formality of the street façade appeared to be abandoned at the rear. 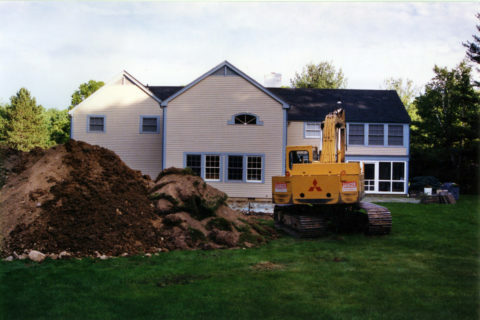 Soper Babcock Associates developed a comprehensive plan addressing the space utilization issues and detailing the complete redesign of the rear of the home. Some 1,300 square feet of additions punctuated this effort including a voluminous family room wing extending from the existing kitchen. Located immediately adjacent is a new exercise room with cathedral ceiling and abundant natural light. Rounding out the first floor additions is a fourth garage bay supplementing the existing three car garage. 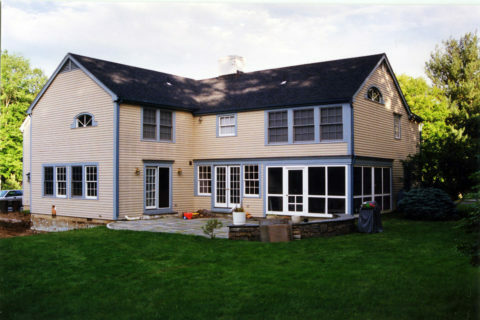 Another unresolved remnant of the previous renovation was the existing screen porch and first floor study. The screened porch was of minimal utility to the owners while the study was undersized for their needs. It was abundantly clear that combing the spaces and enclosing the screened porch would address both the space utilization issue and better integrate the exterior with the surrounding façade. Completing the redesign process was a small addition to the second floor master bedroom including exterior access to a new rear balcony and spiral stair down to the garden level flagstone terrace. The cathedral ceiling of the family room addition is punctuated by Cypress rafters installed over yellow pine “V” joint veneer. Soper Babcock Associates selected butternut, also known as white walnut, as the wood of choice for the family room built in millwork and reclaimed heart pine for the kitchen and family room flooring. American cherry was utilized for the built in millwork of the enlarged study including a custom fabricated cherry spiral stair up to the enlarged master bedroom above.